To follow up his eclectic summer mixtape release Walk Away Music, which boasted twelve tracks produced by twelve producers, Brainiac Society’s Vic Spencer has linked up with producer Ikaz for his upcoming EP. The first single off the forthcoming project boasts some lyrical assists from fellow Go City rappers SaveMoney's Kami de Chukwu and Vic Mensa. With hookwork courtesy of vocalist Michael Anthony the trio of Chicago spitters make quick work of the track as they take turns ripping a spare, industrial beat crafted by Ikaz. 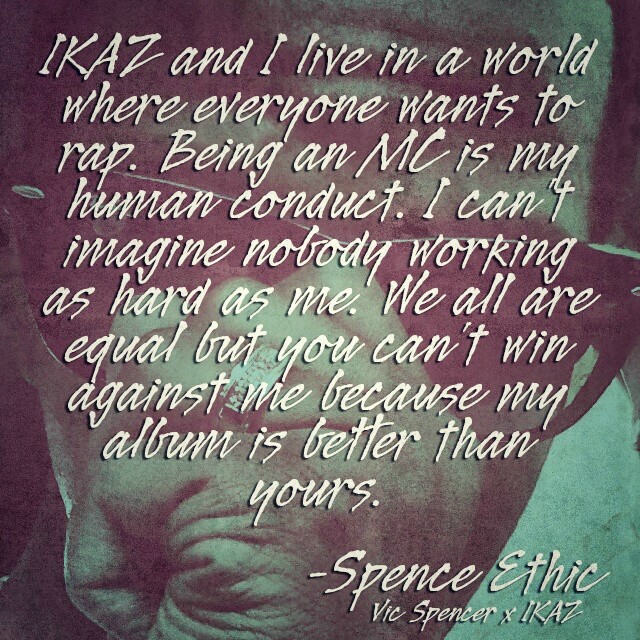 Stream the single below and look out for more from Vic Spencer and Ikaz's collaborative EP. Hedge laces Vic Spencer with audio "Money"